Watch this space to share my faves! Every month, I'll be posting a few of my favorite images here.It probably won't be every week, but probably more than once a month. 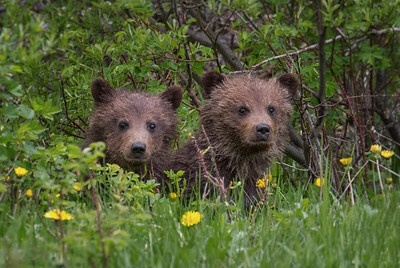 For more of my new images and to see what I've been up to recently, check out the Gallery called "What's New"
June 2014: These two young grizzlies are quite curious! 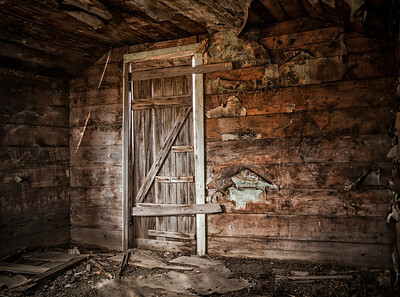 December 2013: Inside an old abandoned farmhouse in southern Alberta near the Town of Milk River. 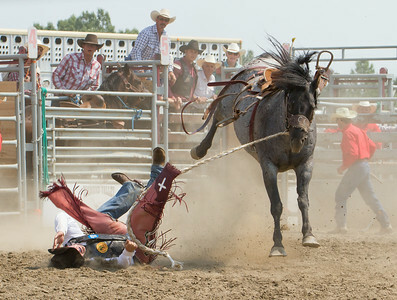 Donated a print of this image to a local fund-raiser. November 2013: Snow is here and winter is starting. 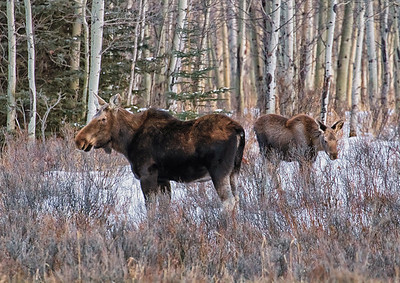 Good time of year to see the local moose, as they don't have the benefit of hiding in the aspen. This girl has a notch in her ear, making her an easy to identify individual whom I've seen many times. 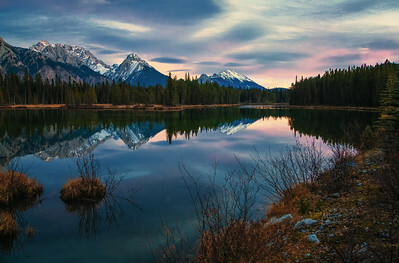 October 2013: Sunset near the Lower Kananaskis Lake. After some friends and I hiked the Upper Lake trail, I headed out looking for some last minute photo-ops in the area before joining them for dinner at the lodge. Lucky me! 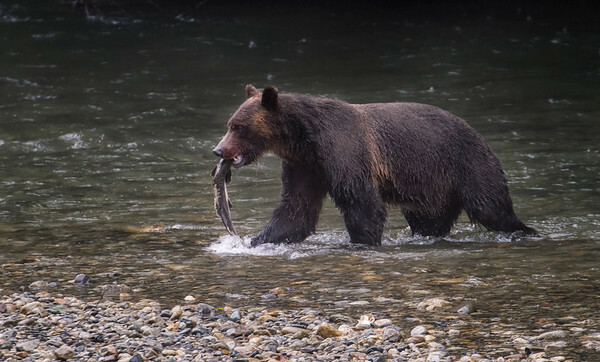 SEPTEMBER 2013: Dinner is Served: Large male grizzly has a salmon... another salmon... when the spawn is running food seems to be abundant for these very proficient hunters. SEPTEMBER 2013: Took a tour out of Campbell River, BC with Aboriginal Journeys. Amazing time. 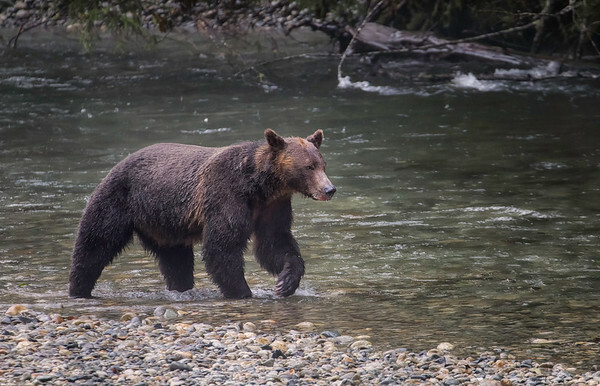 This is one of the seven grizzlies we saw that day! 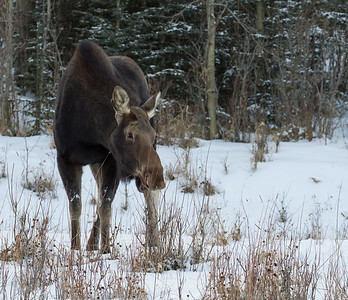 January 2013: After not seeing too many moose for the entire summer and fall seasons, I've been seeing them almost daily through the early part of winter. This cow and her calf were only a few kilometers from home on New Year's Day. November 2012: Different approach. 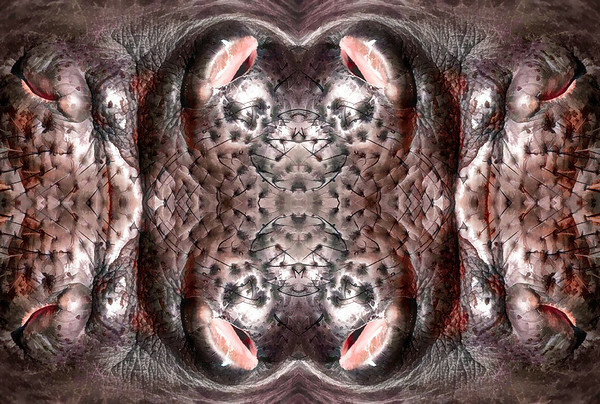 The original is a close-up of the nose of a hippo - copied, rotated and flipped (x4) and run through Fractalius and Topaz Simplify (oil painting). 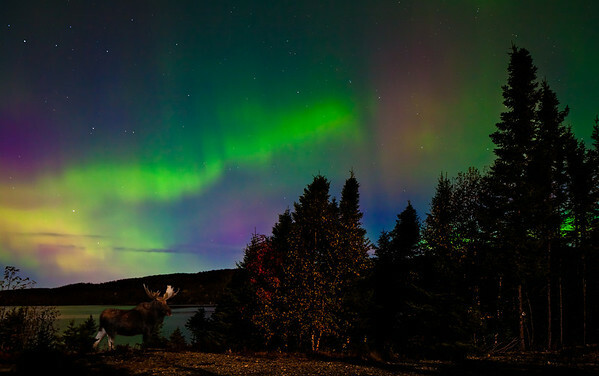 November 5, 2012: A panoramic view of Mud Lake in Peter Lougheed Provincial Park (AB). Elevation 6265 feet. 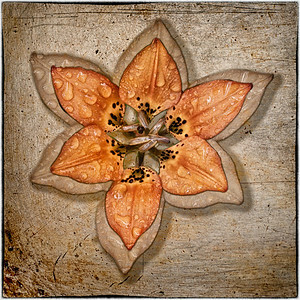 October 2012: Playing around with textures and extractions from photos I've taken. This was created in Photoshop but also used several of the NIK Color Efex filters. September 2012: Bringing in the hay - it's harvest month in Alberta - and a storm is also approaching. The wind in this storm was fierce - rain swept across the highway like drifting snow. July 2012: I'm beginning to experiment a lot more with image manipulation, and various filters. 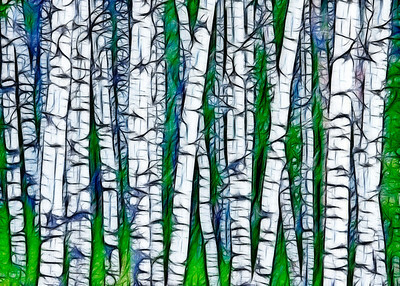 This is a photo of some aspen trees - processed in photoshop to enhance the contrast, then the Fractalius filter was applied. The result reminded me of a silk-screen print and I thought I'd put it out here. 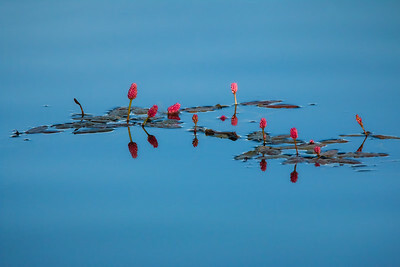 May 2012: This image was created back in 2009, when I used it in a calendar. I'm just now going through loads of old photos on my computer hard-drive and thought I would re-publish this one. 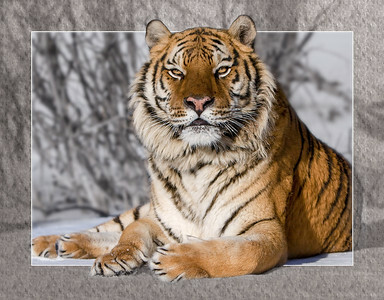 It was created using 4 layers in photoshop - the original photo was duplicated so the warmth and saturation of foreground and background could be controlled separately. Then the transparent border and solid white line were added on top, wth a mask applied to remove the unwanted bits.